It was a few minutes just beyond dusk with the sky darkening from a lovely ruddy sunset and into the calm excitement of night. The kiddo was full of excitement because the pumpkin tote was on its way to filling with sweets, including our favorite: chocolates. It only took a half-second of chocolatey daydreaming before it was too late and the kiddo bent down to pick up some “chocolate” we’d missed. And so had the dog owner who left it there! 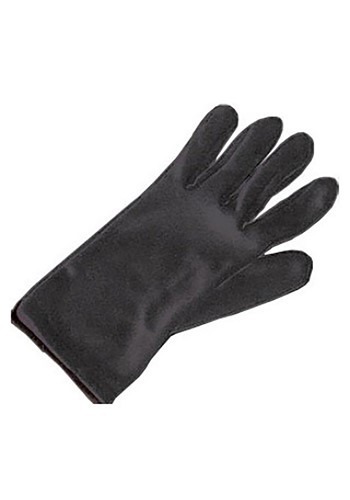 Fortunately, Halloween was saved thanks to these Kids Black Costume Gloves. Comfortable fabric and a black as night color, it was a perfect accessory for almost any costume, and priced so nice we picked up an extra pair. Who could have predicted that they would not only improve a costume but also save us from a filthy disaster!? You, too, can improve your kids’ costumes and just maybe save Halloween!